Express Post Service is Guaranteed Next Day delivery for some metro areas. Please check here to see if your postcode is within the Australia Post Express Post Network Guaranteed Next Day delivery area. If your postcode is not within the Express Post Network – choosing this option will still be faster than standard Parcel Post. ALL ORDERS ARE DELIVERED WITH TRACKING. Once your order has been shipped, you will receive an email notifying you of this, including the parcel tracking number. Please feel free to get in touch with us at orders@sleepandsound.com.au if you have any questions regarding shipping. We are happy to help! 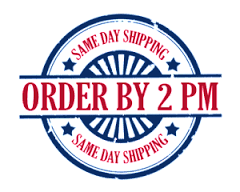 We endeavour to process all orders the same day provided that orders are received and paid in full by 2:00pm. All orders after this time are processed and shipped the very next business day. All orders placed weekends (Saturday & Sunday) and Public Holidays will be sent on the next available business day. PLEASE NOTE: We aim in every way possible to get our orders out the same day that we receive them, having said that, you’ll be happy to know that we are here at Sleep and Sound humans and sometimes, just sometimes, “things happen” in our world/s that are out of our control and on the very rare occasion your order may be processed and shipped within 24 hours of receiving. Estimated delivery dates depends on where you are located and it is calculated from the time you receive your ‘Order Shipped’ email. You should allow for a further 3 business days (in addition to the above) for delivery to remote areas as an estimate only. International customers feel free to contact us at sales@sleepandsound.com.au for a shipping quote. Depending on the nature of the Goods ordered, Sleep and Sound will arrange for delivery of the Goods by Australia Post or a courier. Sleep and Sound will use its best endeavours to deliver the Goods to the Customer’s nominated delivery address within the time period specified however Sleep and Sound will not be liable to the Customer or anyone else for any losses suffered or incurred due to delay. Delays may occur around Christmas, Easter and public holidays. Remote deliveries are subject to local transport schedules and may encounter extended delays. Please note that that there are limitations on all courier networks and some remote delivery addresses will not be serviced door-to-door. In these cases, the couriers will deliver to a local depot or Australia Post office and the customer will be contacted to collect from there. Some remote locations such as islands can only be accessed by boat therefore normal shipping times do not apply. The Customer must ensure that the Customer enters the correct delivery address as parcels which are returned to Sleep And Sound as undeliverable may incur a re-dispatch fee and will be sent back out as regular mail. Freight charges paid for the original dispatch are not refundable. Any damaged or lost orders are subject to an investigation carried out by the courier service. This investigation can take up to 10 business days and we must allow the delivery company to complete their investigation before we can take any further action in to the where about of the parcel. Australia post does not require a signature for delivery unless otherwise specified. Customers not in attendance when an order is delivered may find their parcel left at the residence in a safe spot i.e. letterbox or will receive a card with information on collection of the order. Australia Post does not redeliver items that have been transferred to a local post office for collection. Special instructions can be left for delivery of your order during checkout, Sleep And Sound takes no responsibility in the case that these instructions are not followed. If the customer leaves specific shipping instructions for a parcel to be left at a property then the parcel is left at the customer’s own risk. Sleep And Sound accepts no responsibility or damage or loss of parcels that have been left as per the shipping instructions. Subject toSleep And Sound’s return policy,Sleep And Sound will take all reasonable care to appropriately pack all Orders, but will not be liable or responsible for any damaged Goods or missing Orders. Subject to payment, property and risk in the Goods passes to the Customer upon delivery of the Goods to the Customer’s nominated delivery address. Anyone at the Customer’s nominated delivery address who receives the Goods shall be presumed by Sleep And Sound to be authorised to receive the Goods.